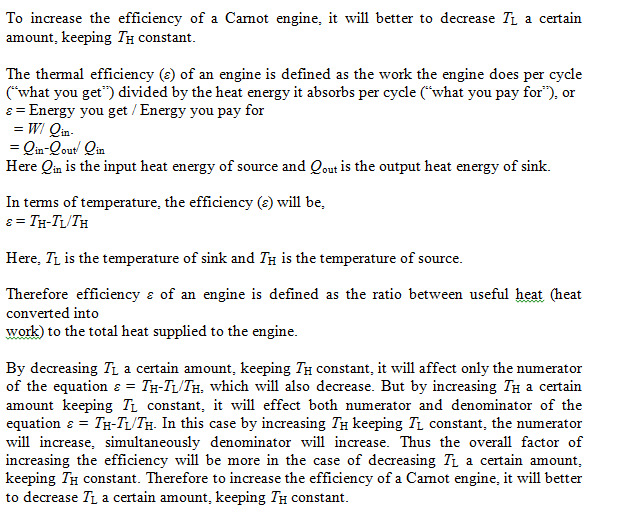 you wish to increase the efficiency of a cannot engine as much as possible. You can do this by increasing TH a certain amount, keeping TL constant, or by decreasing TL the same amount, keeping TH constant. Which would you do?